Give the gift of olives with the Arbequina Olive tree from Perfect Plants! Producing olives in one year, this gorgeous tree can grow in a wide variety of climates and can even grow it indoors in colder climates. Perfect for growers in zones 7-11 and grows great as a container plant too. The Arbequina can grow up to 20 feet tall and 15 feet wide in maturity and are self-pollinating trees. This olive tree prefers full to partial sunlight and has a high drought tolerance. An awesome gift for all gardeners galore! This heavy duty green rolling garden lawn aerator roller will be loved by the gardening people. The easy-rolling lawn aerator lets air, water and nutrients reach grass roots for a greener, more beautiful lawn. It uses a fast and efficient way to keep your lawn aerated. Sturdy wheels roll easily over any turf, and its metal spikes aerate the lawn deeply and completely breathes new life into your lawn. It has no harmful and expensive chemicals complete with 3 piece tubular steel handle. Looking for a stylish lightweight jacket? Wish you could take the beauty of wildflowers with you wherever you go? Then look no further! Classic elegance and modern comfort combine in this Wildflower Zip-Front Jacket from Whistle River®. You’re sure to love the rich hues and elaborate detail of this luxurious floral tapestry, available in Plum (as shown) or Navy. Same price for all sizes, Small to 3X. Best of all, Whistle River® offers Free Shipping, Free Returns, Free Exchanges, and a 100% Money-Back Guarantee! How easy is that? Use promo code GARDENER to save 25% off your entire purchase! The 6’ Smart Pot Long Bed is a rectangular raised bed – 16” wide by 72” long by 16” tall. The porous fabric of the Smart Pot Long Bed is weatherproof, lasting for years and provides excellent drainage. It also air prunes, creating a healthier root system and releases heat in hot weather. It’s easy to use with no construction required. The non-ridged, flexible fabric conforms to the ground and can be placed on uneven or slightly sloping terrain. Like all Smart Pots, the Big Bag Long Bed is made in the U.S.A. and BPA free! The Small Family Garden Seed Collection is a great selection of healthy, colorful, vitamin-rich, family favorites. We have chosen varieties that are reliable and easy to grow to give the gardener a full year of fresh and canned delicious vegetables and fruits right out of your own backyard! The garden seeds in this package should generally grow well all around the U.S., in varying light and soil conditions, taking the guesswork out choosing your seeds. The perfect gift for the gardener in your life, or for those who like to eat healthy or local foods to try gardening! The Greensand you know but much better! Super Greensand® is a multi-nutrient fertilizer, 100% sourced from naturally occurring mineral glauconite, rich in 68 minerals and trace elements. Super Greensand® is approved for organic agriculture by OMRI and CDFA, and does not contain salt or chloride. It improves the soil’s quality, plant’s health and helps to produce nutrient-dense food. Super Greensand® is sustainable by its very nature. Available in 3 grades: Micronized (an ultrafine grade that enhances the product’s performance), Granular (granulated from powder and easy-to-handle) and Powder (for both rapid and longer-term results). The Hummingbird Trainer Starter Set by ZUMMR provides everything you need to start hand feeding hummingbirds. The Starter Set comes with a Trainer, 3 Hummingbird Rings and a Syringe for easy and quick filling of the Hummingbird Rings. The Trainer can be freestanding, fits most cups and glasses and can also be attached to any window. Fill the Hummingbird Rings with homemade or store bought nectar. Place the Trainer and Hummingbird Rings in a place accessible to hummingbirds. Once the hummingbirds start feeding from the Hummingbird Rings, you can put one on your finger, sit still and be patient. Mastering the Art of Vegetable Gardening is your “201” level course in cultivating produce. Expand your knowledge base and discover options that go beyond the ordinary! Prepare to encounter new varieties of common plant species, learn their history and benefits, and, most of all, identify fascinating new edibles to grow in your own gardens. Written by gardening expert Matt Mattus, Mastering the Art of Vegetable Gardening offers a wealth of new and exciting opportunities, alongside beautiful photography, lore, insight, and humor that can only come from someone who has grown each vegetable himself and truly loves gardening. Featuring more than 200 varieties of vegetables and herbs from the 50 most popular groups, featured in hands-on profiles that tell you how, where, and why to grow each one. Mystical Green Man keeps a watchful eye at your gate or front door while greeting visitors with unique style. Large door knocker retains a timeless appeal with the symbol of spring and rebirth. Substantial cast Iron piece features fine detail with verdigris finish, pre-drilled holes for easy installation. Here’s a great gift idea for all your friends and families who are chicken lovers. 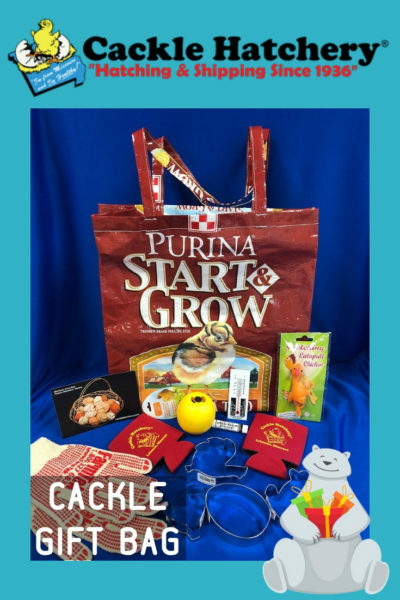 This bag includes: 1 Reuseable Tote Feed Bag, 1 Rubber Chicken, 2 Drink Coozies, Chicken Poop Lip Balm, Yellow Treat Ball, 4 Cookie Cutters, Pair of gloves, Small thermometer and Post Card. This fun, educational kit provides habitat, food, and nesting sites for thousands of birds, bees, and butterflies! Easy-to-grow, all perennial, and designed to be planted in winter, covers 250 square feet with 13,000 wildflower and native prairie grass seeds. All seeds are non-GMO, live open-pollinated with butterfly favorites: Common Milkweed, Purple Coneflower, Black-Eyed Susans, and more. Also includes unique Resting & Nesting Pollinator Habitat House made from wood and wire. This cute little house measures 7″ tall x 6″ wide x 2.75″ deep and can be hung from a post or on a tree branch. Perfect family gift! Use our gauntlet gardening glove for trimming roses, pruning holly bushes, berry bushes and other prickly shrubs, tending to cactus plants and even delicate tasks like holding your cat at grooming time. The gauntlet sleeve offers sturdy but soft coverage right up to your elbow. You will have extra protection from thorns and pickers that only real leather can give, as well as a level of breathability that synthetics can’t provide. Packaged in a reusable cloth storage bag, these gloves are GIFT READY. 16 Pieces 3/4’’-5’’ Full Set in Case with Mandrels. AcuRite Atlas is the future of weather monitoring – Hyperlocal. Smart. Connected. Built with high-precision sensor technology, Atlas allows users to connect to hyperlocal weather conditions. Atlas has the ability to track UV exposure, light intensity and lightning, in addition to monitoring temperature, humidity, rainfall, barometric pressure, wind speed and direction. Along with these new features, Atlas offers an enhanced accuracy rating within 1 degree, improved durability and more frequent readings. Back to Eden is the #1 movie about gardening. Paul Gautschi, Founder of Back to Eden Gardening, teaches you a sustainable, no-till, organic gardening method that is capable of being implemented in diverse climates around the world. Learn how to grow your own vegetables and fruits with less labor, less water, and experience superior harvests! The Garden Crypt is a book that explores the ‘other side’ of the garden realm, from the darker side to the more uplifting, yet ominous and unusual side of gardening. For those who love to garden, and even for those who may not, there’s something here for everyone. With a love for writing, gardening and the unknown, Nikki Tilley (formerly Nikki Phipps) brings these passions together with a collection of previously written articles, carefully researched materials, and many of her own experiences with strange things. Also filled with fun facts and thought-provoking quotes throughout the pages, readers get the chance to experience this popular pastime in a different way. Peaceful Valley Farm and Garden Supply sells premium quality trees from Dave Wilson Nursery. We offer over 160 varieties of dormant bare root fruit and nut trees, from the favorite Red Fuji apple to the unique complex hybrid Apriums or Pluerries. Most of our bare root trees are semi-dwarf, 5/8” diameter 2-year-old trees–meaning you’ll get fruit sooner! All our dormant bare root trees are guaranteed to leaf out by mid-May and are priced as low as $24.99 per tree. Ship up to 10 bare root trees for $29.99 beginning mid-December. Pre-order yours now to reserve your favorite varieties. Comes with extra clip sizes to fit an assortment of long handle tools of varying thickness. Made from Solid Steel yet weighs only 5 lbs. lbs. Say goodbye to going back and forth from your garden to your storage just to get all tools! Scout Cart® Your Personal, Portable Cart. A high-quality personal grocery cart, the Scout® functions like a champ both in store aisles and on the streets. Explore local farmers markets, village square shops and the grocery store with your own portable shopping cart with wheels. Start enjoying the convenience of your own personal grocery cart! The post Top 100 Gifts For Gardeners #81-100 appeared first on Gardening Know How's Blog. 10 Gardening Tips And Tricks You Can Use Right Now!